Powered by boundless enthusiasm and a cup of tea in hand, Heather is lead of the Indie Showcase team. Having volunteered last year at Game Anglia 2017, she has now risen through the ranks to the Game Anglia organisers team and is one of the directors of Game Anglia. 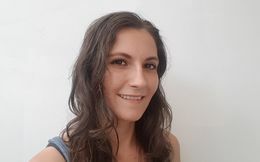 Colchester born, Heather is studying for an MSc in Games Development at the University of Suffolk with aspirations of becoming a narrative designer and an indie developer with her own small studio. Heather is the gatekeeper to our indie showcase list and is also heading up the team putting together some groundbreaking events in the local region.